This is my full sized Bright Neon Multi Colored, Czech glass, fire polished car rosary. Unlike other car rosaries, these are fully customizable, and contain the complete lower section (instead of just 1 bead). If you would like to get more information about what colors and parts are available in this price range, please contact me. I can even add a St Christopher medal to the crucifix for an additional charge. BEADS: alternating Czech glass 6mm neon (pink, green, yellow, orange) fire polished beads. 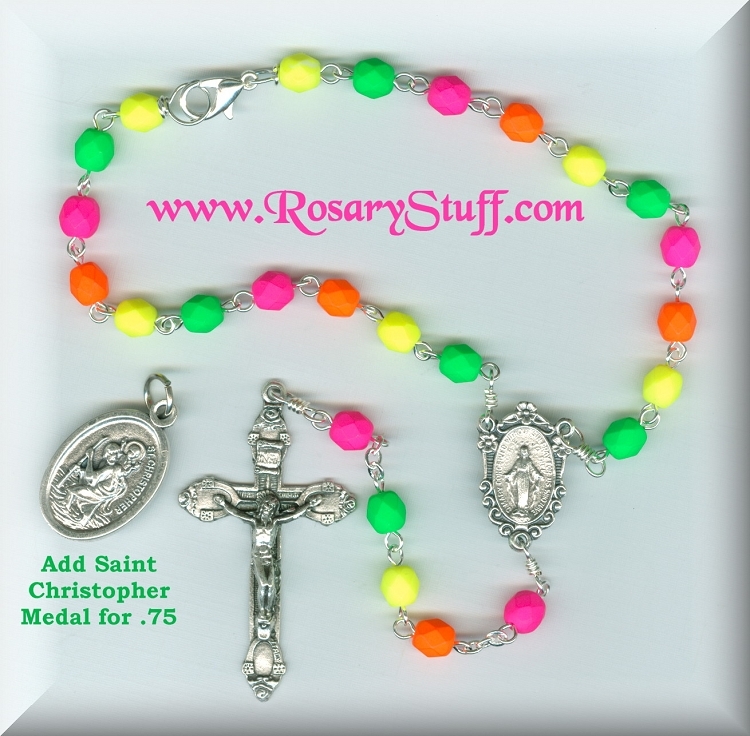 This rosary can be made with just one color if you prefer. Please contact me for more details.